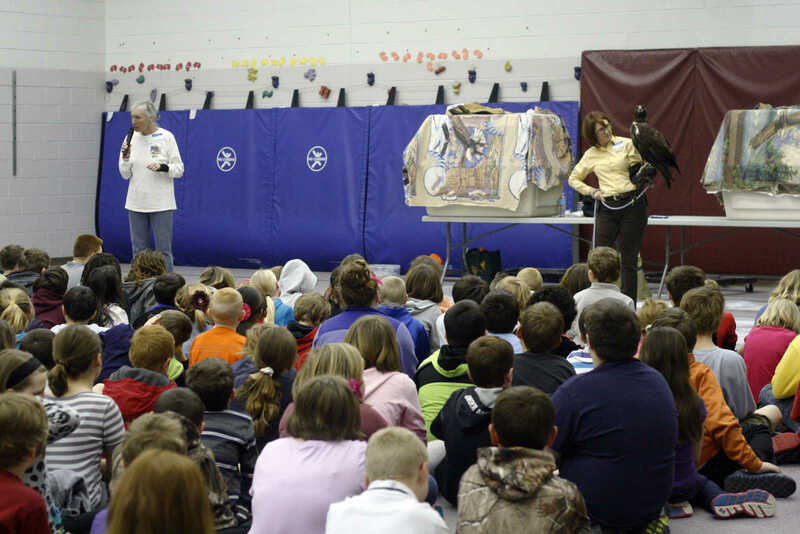 The Missouri Department of Conservation and Dickerson Park Zoo paired up for an Eagle Day at Truman Elementary on Friday, March 21. Students learned about eagles, their habitat and reintroduction to Missouri after years of waning populations. 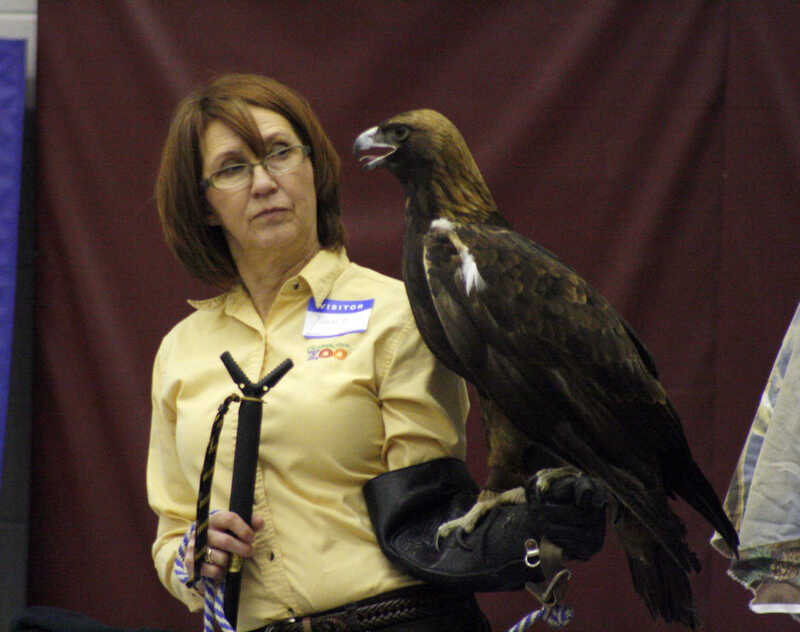 Eagle handlers from Dickerson Park Zoo show Aquila, a golden eagle, to Truman Elementary students Friday as part of an Eagle Day event. Students learned about eagle habitats, biology and reintroduction in Missouri. Pam Price, conservation education director at Dickerson Park Zoo, presents gold eagle Aquila at Truman Elementary on Friday. Aquila underwent several surgeries for a damage wing several years ago, and has been in captivity since. 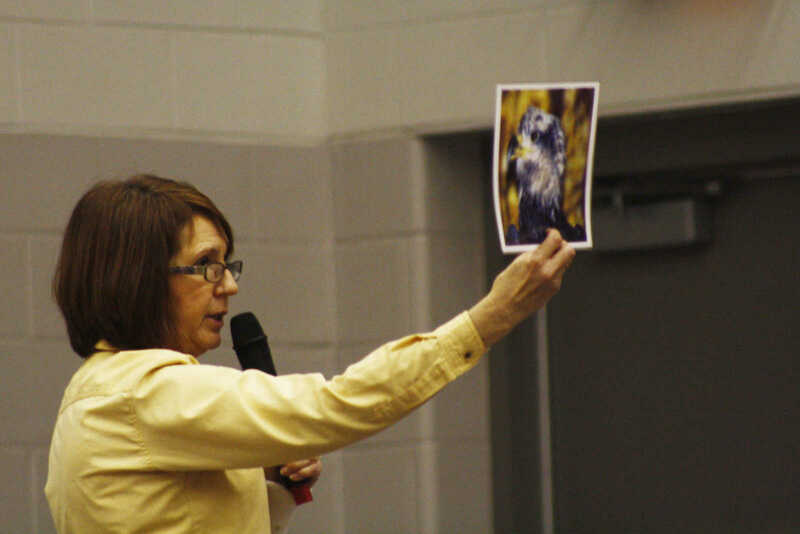 Jan Carter, a volunteer at Dickerson Park Zoo, presents bald eagle Phoenix to Truman Elementary students Friday. Phoenix has been in captivity since a young age due to health issues. 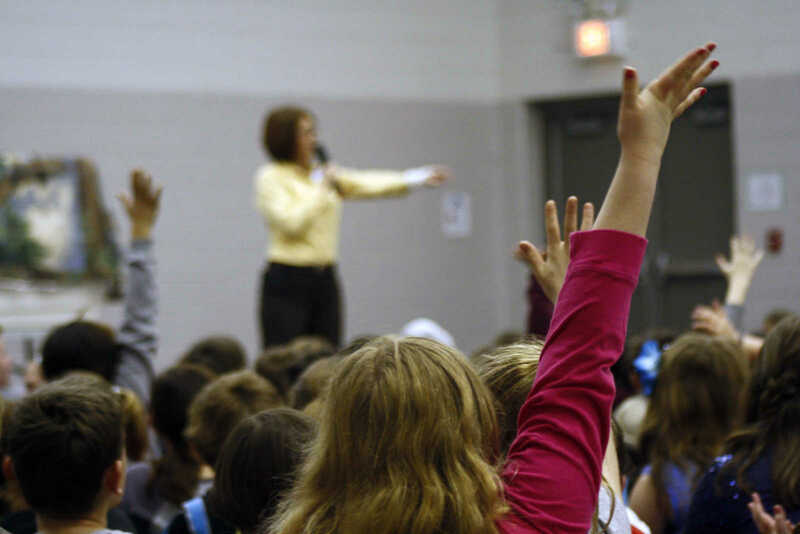 Students at Truman Elementary try to calculate the age of Phoenix, a eagle who's been in captivity since the 1980s. 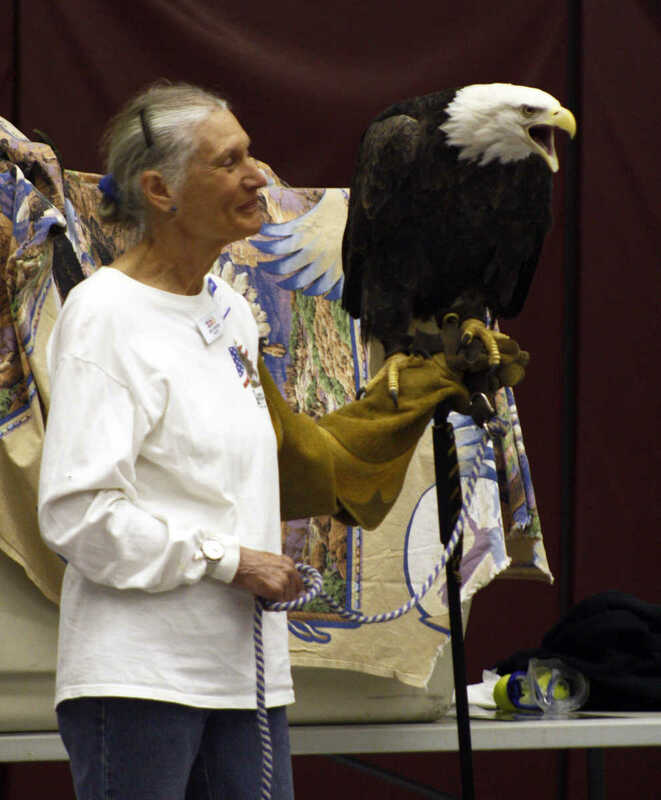 The eagle, who is 25-years-old, visits Missouri residents from around the state at educational programs. Pam Price, conservation education director at Dickerson Park Zoo, shows elementary students a photo of bald eagle Phoenix as a juvenile. Bald eagles under age four are brown from head to talon, and have yet to display the iconic white head features.